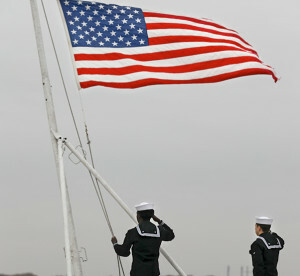 Aviation Ordnanceman Airman Recruit Martin Jimenez, right, and Aviation Ordnanceman Airman Apprentice Deion Woody lower the national ensign to half-mast in honor of former President George H. W. Bush during morning colors on the flight deck aboard the Nimitz-class aircraft carrier USS Abraham Lincoln (CVN 72). Bush died Nov. 30, 2018. 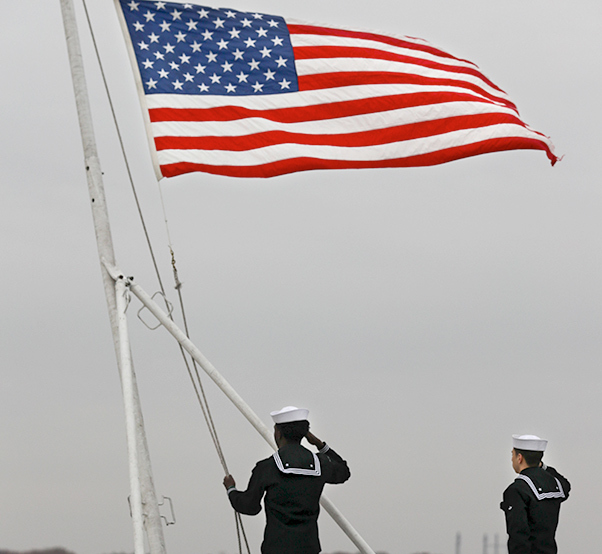 The aircraft carrier USS George H.W. Bush (CVN 77) transits the Atlantic Ocean, Nov. 6, 2018. George H.W. 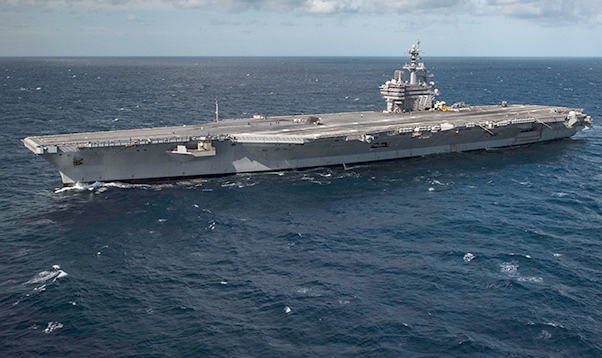 Bush is underway in the Atlantic Ocean conducting routine training exercises to maintain carrier readiness. A file photo taken in 1944 of Navy pilot Lt. j.g. 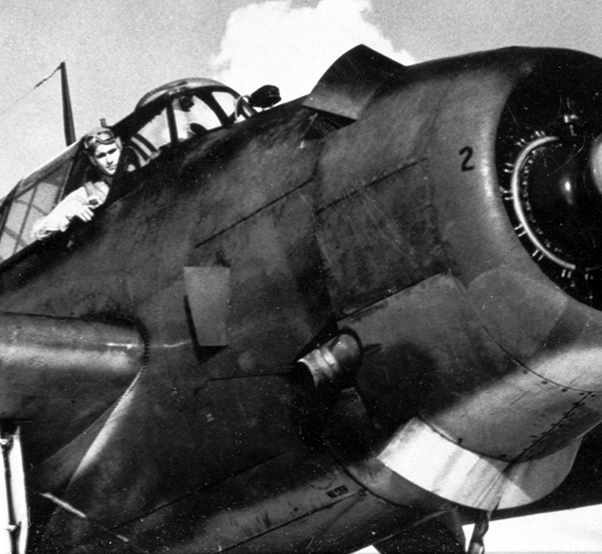 George H. W. Bush in his Grumman TBF Avenger torpedo bomber. Bush was born June 12, 1924, in Milton, Mass. On Jan. 6, 1945, he married Barbara Pierce of Rye, N.Y. They had six children: George, Robin (who died of leukemia in 1953), Jeb, Neil, Marvin and Dorothy Bush Koch. Father Bush lived to see his son George W. Bush as being elected the 43rd president in 2000. A file photo taken Nov. 2, 1944, of Navy pilot Lt. j.g. 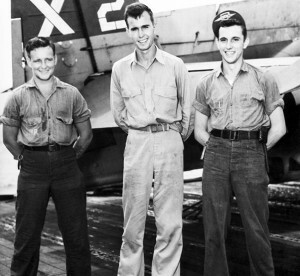 George H. W. Bush, center, with X-2 flight crew, radioman Joe Reichert, left, and turret gunner Leo W. Nadeau.